The shooting dead of Moscow’s ambassador in Ankara is a provocation designed to destroy Turkish-Russian normalization, President Recep Tayyip Erdogan told Anadolu Agency late on Monday. Erdogan “strongly” and “vehemently” condemned the assassination of Andrey Karlov on Monday evening. “Both Turkey and Russia have the will not to be deceived by this provocation,” Erdogan said. “I believe this is an attack on Turkey, the Turkish state and the Turkish people, and also a clear provocation to Turkish-Russian relations. I am sure our Russian friends also see this fact,” he added. The Turkish leader said he had been closely following the incident from the very beginning, and offered his “deepest condolences to the friendly nation of Russia”. 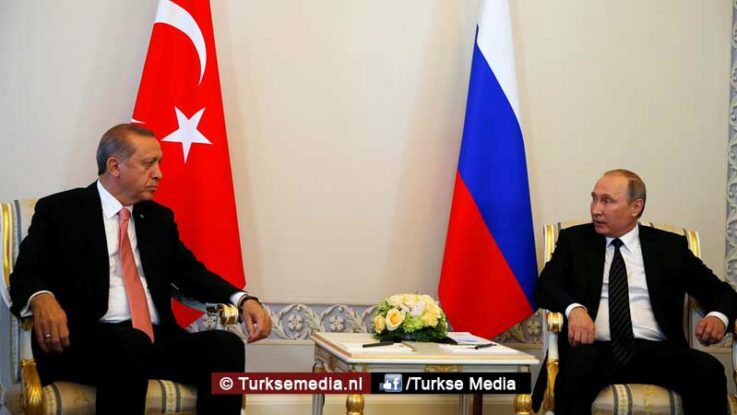 Erdogan and Russian President Vladimir Putin agreed on stronger cooperation to fight terrorism internationally, Erdogan also revealed. Karlov died after being shot at an art exhibition in the Turkish capital, Ankara. He had been delivering a speech at the opening ceremony of an art gallery when an assailant opened fire on the diplomat before shooting into the air, according to an Anadolu Agency correspondent who witnessed the incident. The envoy was seriously wounded and immediately taken to Guven Hospital in the capital’s Cankaya district but later died. Police special forces neutralized the assailant in an operation that lasted around 15 minutes. Erdogan confirmed that the assailant was a 22-year-old Turkish riot police officer called Mevlut Mert Altintas. He said a Turkey-Russia joint commission would be established to investigate the murder. “All the security measures around the Russian embassy and consulate general have been tightened as we agreed with Mr. Putin,” Erdogan noted.